If you waited to order a t-shirt after May 15th, there’s a chance you might not get yours in time. This might be especially true if you live outside of the United States (where they are being made and shipped from). 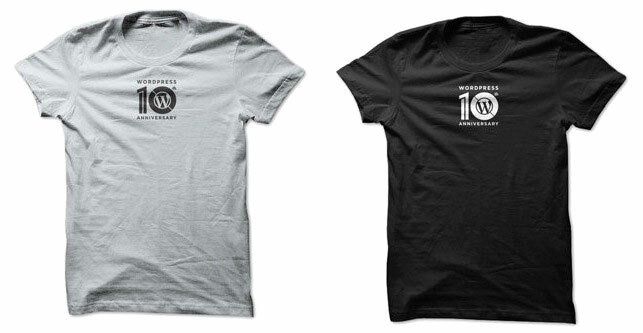 So we made the WordPress 10th Anniversary logo available in PDF Format so you can download and print your own t-shirts. Click here to download the PDF version of the logo. Please take a look at how the logo is to be used on shirts. We are asking not to use a different design (bigger logo, different placement, etc). 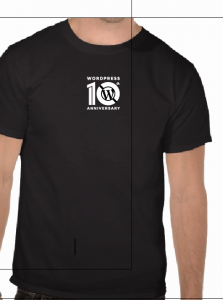 Printing is white on black tee, or black on silver tee.